The first couple we planted was Juliet and Alfred Mangapan in Baguio City, Philippines. Today there are churches from the South, in Davao City to the North in Baguio. They conduct nationwide church planting conferences every two years. Juliet Bayawa was our first Filipino in the Hong Kong church. She had a vision to begin an English speaking church. That church began to grow. Today there are churches throughout the Philippines that have been established. They conduct nationwide church planting conferences every two years. Edith Autor, an ordained Assembly of God minister, came and began to work with our Filipinos. She built a strong Filipino work at Calvary Church and has coordinated churches and workers throughout the world. 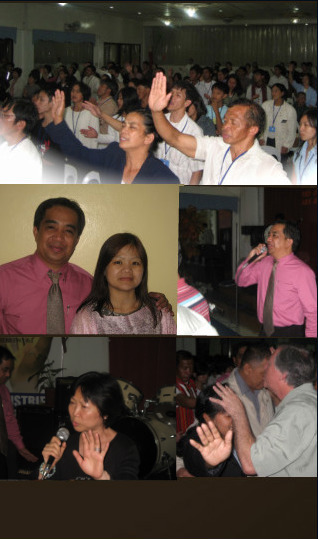 Calvary Church continues to have a very strong Filipino ministry. Today, Edith Autor coordinates the works and workers in the Philippines as well as our Filipino works in Hong Kong.